Discover the story behind Theodore Roosevelt’s favorite place on earth. 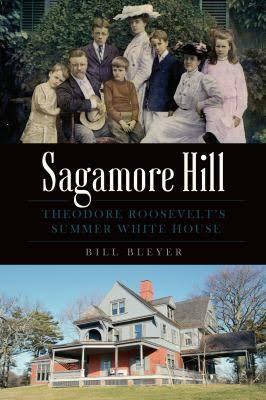 No house better reflects the personality and interests of its owner than Theodore Roosevelt’s cherished Sagamore Hill. After Roosevelt returned to Oyster Bay following the death of both his beloved wife and his mother, he and second wife Edith made the house a home for their growing and rambunctious family. Bill Bleyer was a prize-winning staff writer for Newsday, the Long Island daily newspaper for 33 years before retiring in 2014 to pen books and freelance for magazines and Newsday. Besides writing Sagamore Hill: Theodore Roosevelt’s Summer White House, he is the author of Fire Island Lighthouse: Long Island’s Welcoming Beacon and co-author of Long Island and the Civil War. What better way to observe New York History month in November?